Thai voters went to the polls on Sunday in a long-delayed election following a 2014 coup, in a race that pits a military junta chief seeking to retain power against a “democratic front” led by the populist party he ousted. Pro-Thaksin parties have won every election since 2001, but the past 15 years have seen crippling street protests that destabilized the government and hamstrung business. Junta chief Prayuth’s party campaigned on maintaining order and upholding traditional values of loyalty and devotion to the monarch. Supporters of Thaksin, known as the Red Shirts, also occupied much of Bangkok’s main business and shopping districts for months in 2010 after a court dissolved a pro-Thaksin government, again paralyzing commerce until a crackdown that left at least 90 people dead and saw landmark buildings burned. “I think it’s going to take a long time,” said Paul Chambers, lecturer in political science at Naresuan University in northern Thailand. The country’s king made an unexpected call for “security” and “happiness” hours before the vote. King Maha Vajiralongkorn did not refer to any of the sides in the race, but it was nevertheless a startling departure from the approach of his late father, who in his latter years kept a distance between the monarchy and politics. The opponents of Thaksin’s populist brand of politics are predominantly the middle class and urban establishment, who identify with the monarchy and the military. 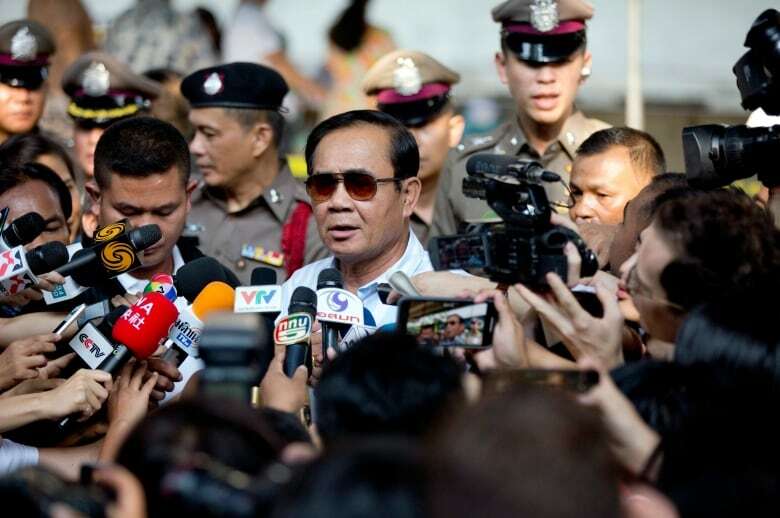 The junta-written electoral rules ensure the military will continue to have a say in the next government, even if Prayuth does not stay on as prime minister. Pro-Thaksin parties are expected to win the largest number of seats in the House of Representatives. However, the new system appears designed to prevent it from forming a government because it includes the junta-appointed 250-seat Senate in the vote for prime minister. Among the potential Pheu Thai allies is the new Future Forward Party, led by 40-year-old billionaire Thanathorn Juangroongruangkit, whose criticism of the junta has been scathing and faces charges under the Computer Crimes Act for a critical Facebook speech. Prosecutors have said they will decide whether to put him on trial days after the election. Pheu Thai also has several pro-Thaksin allied parties, although its main alternate party, Thai Raksa Chart, was disqualified by a court for its attention-grabbing nomination of Princess Ubolratana, sister of the king, as its prime ministerial candidate. Two other officially non-aligned parties could be decisive in whether pro-military or “democratic front” factions make up the next government. 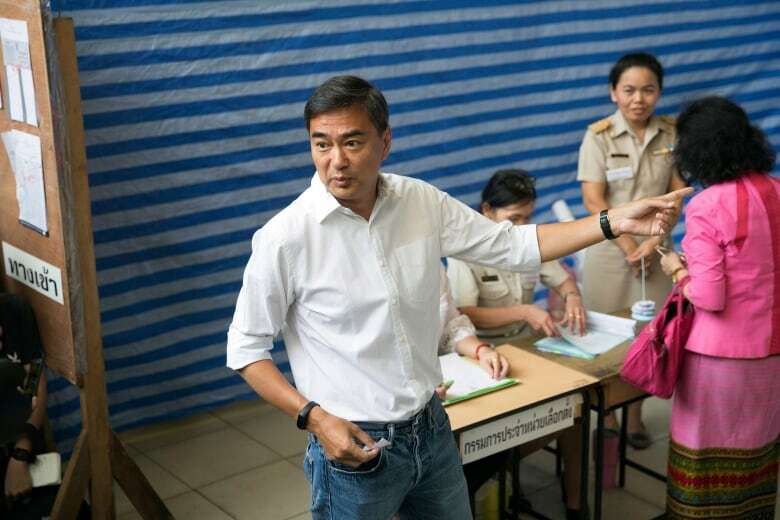 Former Prime Minister Abhisit Vejjajiva, leader of the anti-Thaksin Democrats, has portrayed himself as a third way between the “dictatorship” of keeping Prayuth and a return to the “corruption” on Thaksinism, but he would likely have to side with one or the other to form a government. The Bhumjaithai Party of Anutin Charnvirakul placed third in the last election of 2011 and has grabbed attention for populist campaign promises such as legalization of recreational marijuana and a four-day work week. It’s unclear which side he would choose. Regardless of the make-up of the government, the election result is likely to yield a shaky coalition that will do little to soothe Thailand’s deep political divides and may not be able to accomplish much, Chambers said.